The collapse of Fourvière Hill, which accounts for some of the City of Lyon's darkest hours, gave the Berliet factories a chance to demonstrate their solidarity with the emergency services and population for several weeks. 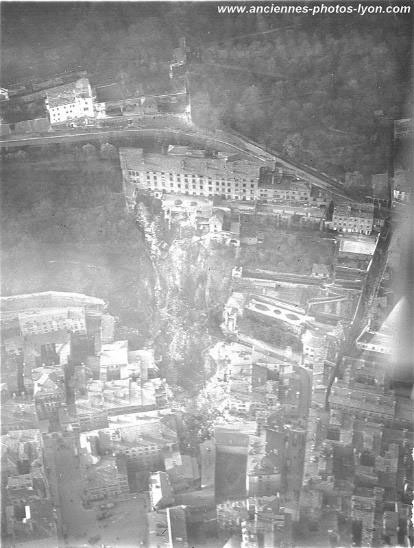 It was 1:05 a.m. in Lyon when part of Fourvière Hill collapsed, destroying everything in its path. Within less than an hour, when emergency teams were attempting to rescue victims, a second collapse occurred, burying 19 firefighters, 4 police officers, and 16 inhabitants under tonnes of earth and rubble. The catastrophe was traumatic for Lyon's inhabitants: 800 people were evacuated and 12 houses destroyed. The Berliet trucks built by Lyon’s highly reputed automotive industry were used to clear the district over a period of several weeks, as described in the following account: "For three or four weeks, Berliet chain-drive trucks could be seen wending their way up Rue de la Bombarde to clear the rubble there." It was the CBA model, designed before World War I, considered to be indestructible due to its tremendous ruggedness. Online document: excerpt from the book "Le Vieux-Lyon, Saint-Georges, Saint-Jean, Saint-Paul au fil du temps" .